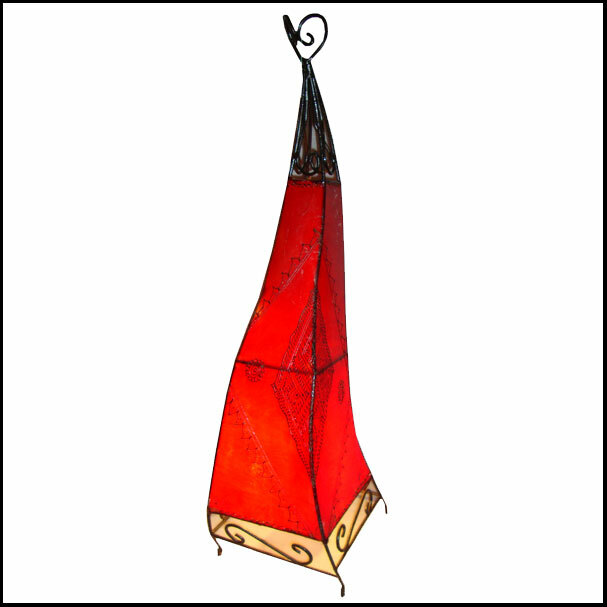 Goat skin lamp with Henna patterns, measuring approximately 36″ x 16″ x 10″.. Hide is stretched over a firm iron frame. Lamp is sold electrified and ready to use. Available in other colors, so please check with us..